Earlier this month news broke Ford Motor Company is working on an electrified pickup truck. 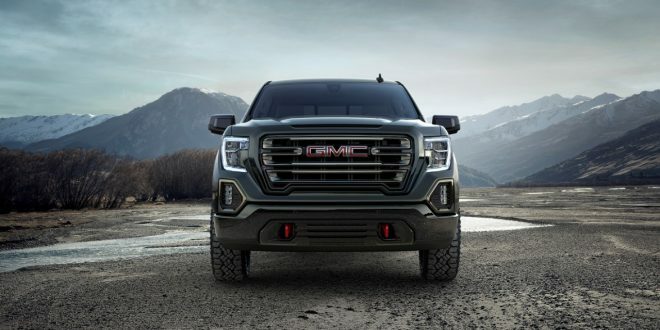 Now GMC is joining in on the electric truck bandwagon, saying they too are considering such a product. Assuming GMC moves from just considering an electric truck to actually producing one, it will join the unnamed Ford electric truck, Rivian R1T and an unnamed Tesla product. Tesla CEO Elon Musk has stated the company’s electric truck will arrive sometime after the upcoming Model Y SUV. It’s entirely unclear when GM would be in a position to launch an electric truck. The company has already announced its new BEV3 architecture, which will allow the company to build electric products of nearly any size and segment, but it isn’t clear if that unibody architecture is suitable for pickup truck duty. GM has stated numerous times that its BEV3 architecture will begin underpinning production vehicles in 2021. Most recently the company showed off CGI images of an upcoming electric Cadillac SUV that will launch on BEV3 sometime after 2021. Seems it would be a lot easier for GM to utilize their eCOPO project for truck duty. 700hp, 600lb-ft.